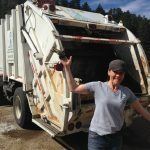 Jamestown was awarded a 2019 Sustainability Grant from Boulder County! Instead of requiring the Town to provide a cash match, the County has agreed to a match with in-kind volunteer hours. Because of Jamestown’s incredible volunteer culture, we think this is going to be fun. Looking for an opportunity to help? Jump on in! See below for contact information. When: 2nd Saturday of the month, 10 a.m. – Noon. No pick-up in July; program ends March 2018. What: Single Stream: i.e. commingled plastic, glass, aluminum, paper. Please don’t flatten containers (it helps the auto-sorters separate materials). More here: Single-Stream poster. 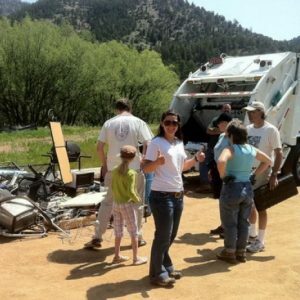 Jamestown will host one “Hard-to-Recycle Day” likely in the fall. 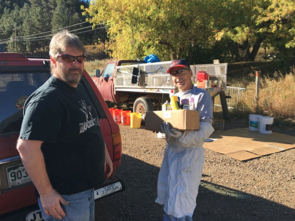 Acceptable items include: electronics, batteries, paint, light bulbs, scrap metal, clothing, books, etc. Be watching for more information. Zero Waste for 4th of July! In the past, Green Girl has donated all services to the JT 4th of July event! 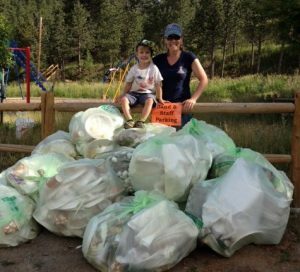 This grant funds pick-ups for recycling and compost generated by our 4th of July Community Celebration. Interested in joining the Recycling Committee?